I am not particularly fond of M.U.S.C.L.E. 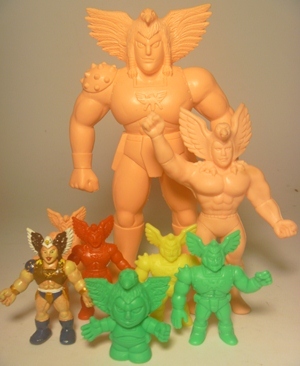 figure #50 (Hawkman). Why don’t I really care for the M.U.S.C.L.E. figure? It goes back to my childhood. I always thought #50 was a female M.U.S.C.L.E. figure, and to a 10 year old boy, a girl figure was highly uncool. Even today, I can look at this figure and see how I thought it was female. 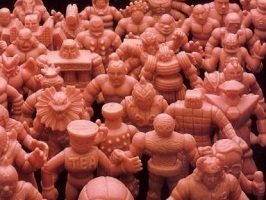 It’s interesting that none of the female Kinkeshi figures were chosen for the M.U.S.C.L.E. line. I wonder why that is? I understand it’s a toy line aimed at boys but Masters of the Universe had Teela, Thundercats had Cheetara, Monster in My Pocket have Medusa and Vampiress, and TMNT had April O’Neill. Maybe Mattel wanted to go down the same path as Transformers who didn’t release an action figure of the female Transformer Arcee even though she was a prominent character in the cartoon. It’s true I don’t particularly like the M.U.S.C.L.E. 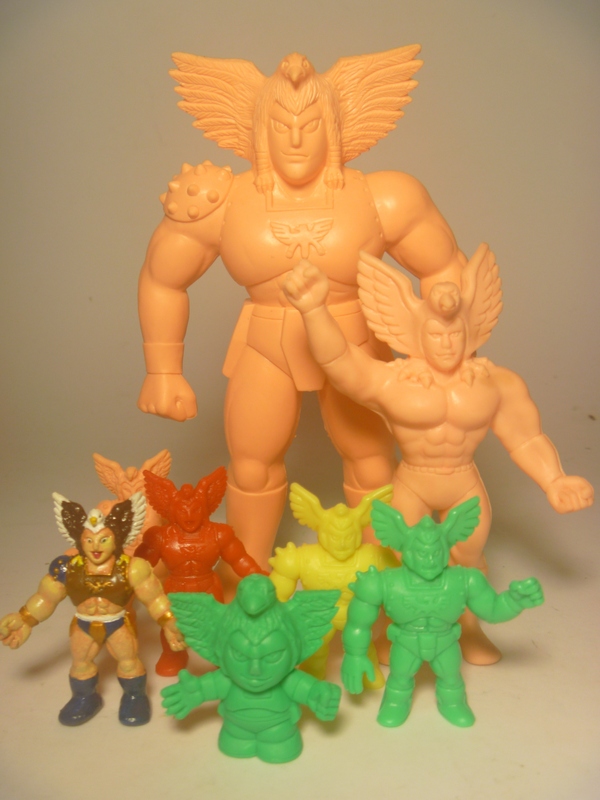 incarnation of Hawkman – but in the other Kinnikuman lines, Hawkman is actually a pretty cool figure. I like the 1991 version, the Deka, and the Kinnikuman Great figures a lot better. I think the main difference is the expression on his face. The other versions give him a more serious look, maybe more manly? Does the fact that I don’t like the M.U.S.C.L.E. version because the others look manly make me sexist? I guess I just collect boy dolls! This entry was posted on Monday, June 30th, 2014 and is filed under UofM News. You can follow any responses to this entry through RSS 2.0. You can skip to the end and leave a response. Pinging is currently not allowed.